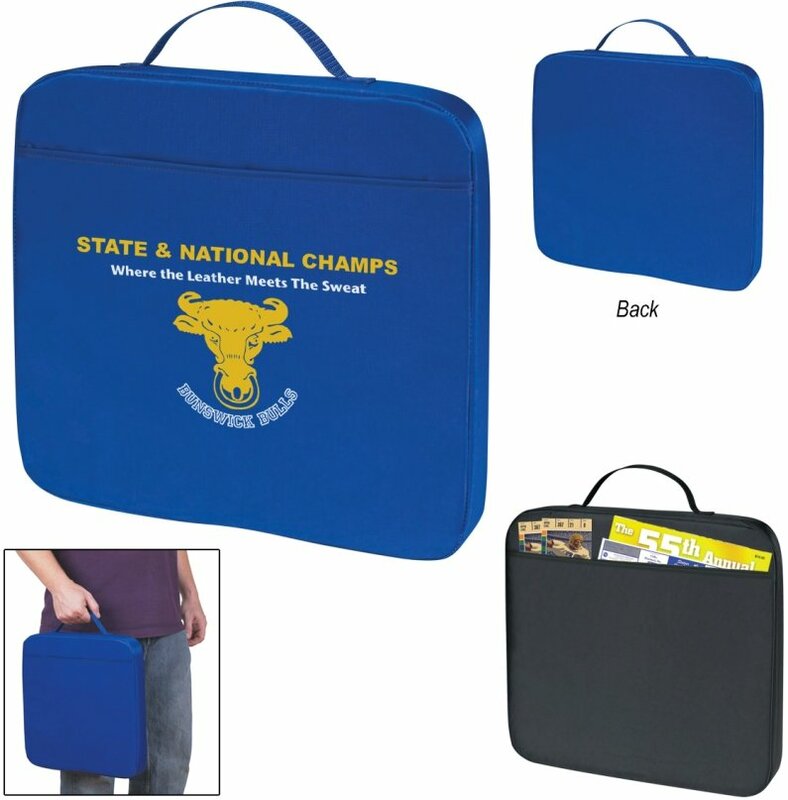 Get your logo printed on Better Custom Stadium Seat Cushions. Apps include sporting event, cruises & promotional products. with web carry handle and a convenient front slip pocket. Colors: Royal Blue and Black. Extra large print area. Overall size is 14" w x 14" h x 1 1/2" thick padding. Delivery from date of a custom order 2-3 weeks. Price includes a one color imprint on front area 8" w x 8" h.
Logo does require a Illustrator ai, eps or pdf art file.